Hilliard Bradley High School is named in honor of former school board member Raymond K. Bradley. Chosen from a long list of community suggestions, Hilliard Bradley was selected as a tribute to the many years Mr. Bradley dedicated to the community and the school district. 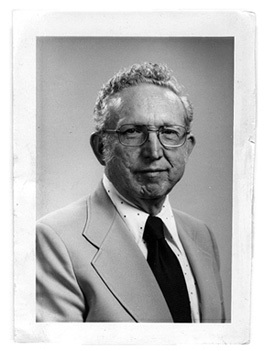 Now deceased, Mr. Bradley was a 1937 Hilliard graduate and served on the Board of Education in the 1950s. A life-long Brown Township resident, Mr. Bradley was inducted into the Hilliard Senior Citizen Hall of Fame, served as Superintendent of Education of the Avery Road United Methodist Church (where he also taught Sunday school), and was a founding member of the Darby Creek Association. He also served as a member of Kiwanis, the local historian for Brown Township, and a founding member of the Northwest Historical Society.